“So, what are your plans for today?” We thought a bit before answering: what does the questioner have in mind? Is he going to ask me to volunteer a few hours? Will he ask me to be a guest for lunch? Do they want me to be a weekly visitor to someone who smells really bad? Well, what Bishop Charron was looking for was more about God’s plan. No one answered him immediately, so Bishop answered his own question: “Our plan is, to be holy! That’s The Plan. God calls us to be saints!” Oh, is that all? 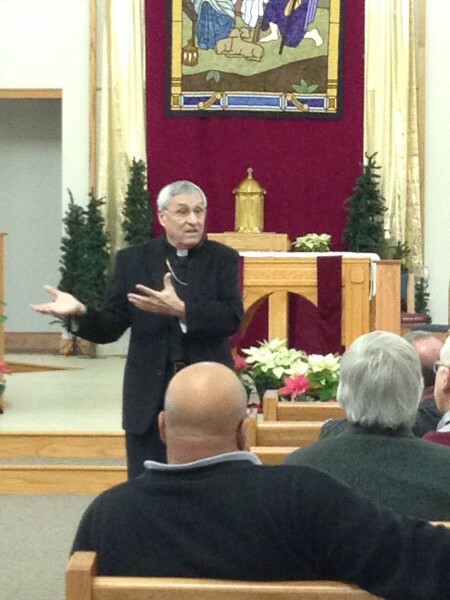 So on that lovely January day at Sacred Heart Church in Warrensburg, Missouri, Bishop Joe Charron encouraged us—incorporated members, companions, religious and diocesan clergy who were our special guests—to consider how blessed we are to be Christians, saved by the Blood, in a way of life that is conscious of the concerns that were held in high value by St. Gaspar, in living the charity of Jesus: loving God and neighbor and inviting disciples. “Reconciliation,” he reminded us, “is central in conversion to Jesus; meeting others with listening compassion and encouragement, giving special attention to the sick, poor and marginalized.” We are sometimes more comfortable with our mission (doing) than our spirituality (holiness), but both are necessary. “If you find that because of all you have to do, your prayer time is suffering, it’s not your prayer that is the problem.” He said we are to be ministers of prayer and to challenge the values of our culture. Evangelization is part of the plan and as Gaspar invited followers as priests, religious and companions, he encouraged works of mercy: to provide articles for the sick, collect alms, visit those in prison, and invite peers to church to hear the sermons. 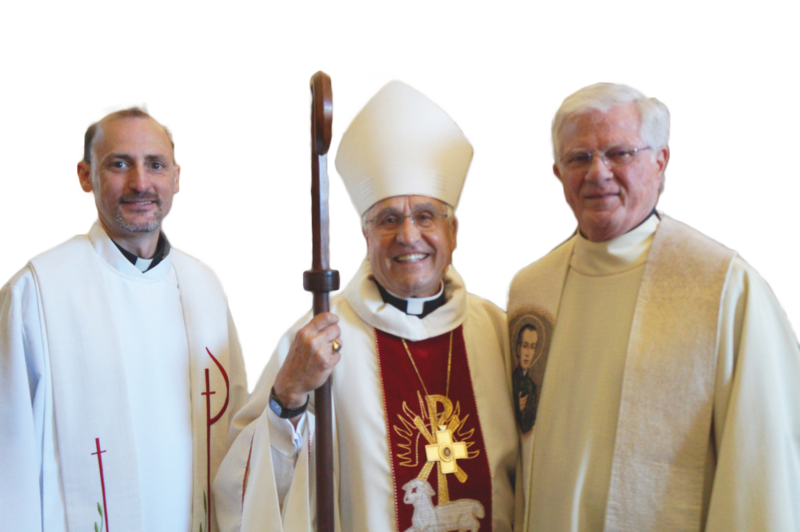 Bishop Charron reminded us of our history: “The Pope needed someone to revive the spiritual life of the people who were demoralized.” The Mission houses, sodalities, centers for lay spirituality, etc. were important to the process. The Archconfraternity was a lay association, divided into groups of men, women, children, peasants and then those of clergy. They were to invite others to increase membership, work for and model prayer, peace and justice, reconciliation, and live the bond of charity with respect and care for each other. Bishop Charron also spoke of the need for hospitality, more necessary today because of violence and stress. There are needs for support, listening, talking faith-fully, giving comfort, and providing space to gather. We are to study together and mentor new members. We encourage one another and give honest praise.